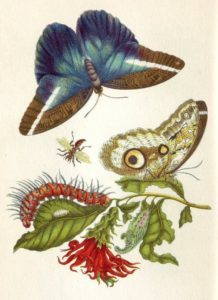 This is the first I’ve heard of Maria Merian and I would definitely be interested in reading The Girl Who Drew Butterflies. If you are interested in women’s history, art and/or science, it has something for you. Sounds good. I like picture book biographies too. This week I have a historical mystery – A Moment in Crime by Amanda Allen. Happy reading! So, I’m not the only one. Thanks for visiting. This sounds interesting. I never heard of it before. I’d give it a try.